She sees it, she likes it…but will she get it? 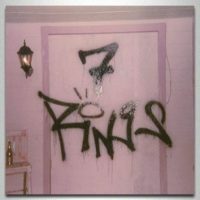 Ariana Grande‘s “7 Rings” might pull off a #1 debut on the Billboard Hot 100 next week. According the publication, the song — the second single from Ari’s upcoming album thank u, next, might sell over 80,000 downloads and rack up more than 70 million streams. If it does, it’ll enter the chart at #1. And if it does that, it’ll be Ariana’s second #1 on the Hot 100, after “thank u, next,” which debuted on top back in November. If Ari collects a second #1 debut, she’ll be one of only five artists in history who’ve had more than one song enter the Hot 100 in the top spot. The others are Mariah Carey, Justin Bieber, Drake and Britney Spears. As previously reported, thank u, next the album arrives February 8, just six months after the release of Ariana’s 2018 album Sweetener.